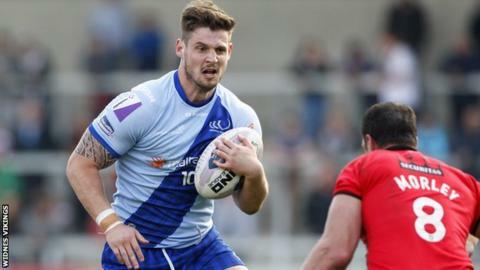 Widnes Vikings prop Ben Kavanagh has signed a new two-year contract with the Super League side. The 26-year-old Scotland international has made 148 appearances for Vikings since joining in 2008 following an initial loan spell from Wigan Warriors. "I'm really enjoying my rugby at Widnes and I'm excited about the future and what we could achieve here," he said. "I'm over the moon to sign. It's good that it's now out of the way as I can concentrate on my rugby league." Kavanagh, who was a member of Scotland's 2013 World Cup squad, is the seventh player to commit his future to Widnes in recent weeks, following Lloyd White, Stefan Marsh, Phil Joseph, Eamon O'Carroll, Paul Johnson and Liam Carberry. "He's a big man who has lots of ability and skill and we need to keep extracting that out of Ben and that's only going to benefit him and make the team better," Vikings coach Denis Betts said.